REDWOOD CITY, CA (February 7, 2018) —Complying with SEC disclosure rules while also keeping shareholders engaged presents a challenge to many companies. As a result, according to a new report from Equilar, Innovations in Proxy Design: The Compensation Discussion & Analysis, the section of the proxy statement dedicated to executive compensation continues to increase in length. 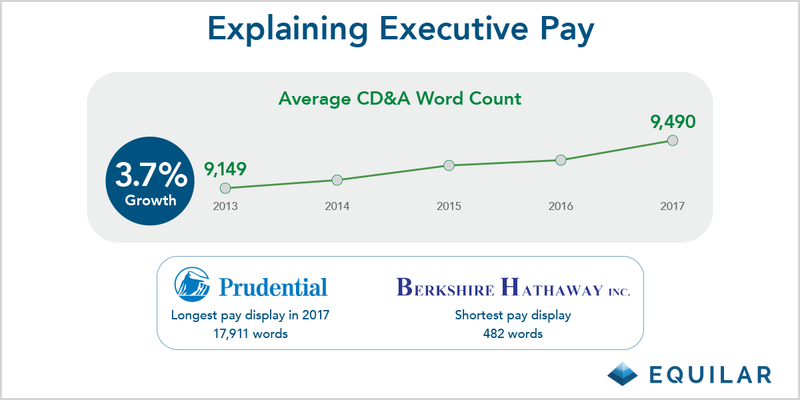 As companies attempt to explain how mandatory disclosures of executive compensation align with corporate strategy and philosophy, the average word count of the CD&A section of Equilar 100 proxy statements grew to 9,490 words in 2017. The average increased every year between 2013 and 2017, up a total of 3.7% in that timeframe. Despite growth on average, word count for the longest CD&A in this study actually decreased in each year since 2015, down from 18,706 to 17,911 words in 2017 (belonging to Prudential Financial in the most recent year). Berkshire Hathaway annually turned in the minimum word count for its CD&A, falling below 500 words in 2017 for the first time during the study period. Notably, the second-shortest CD&A in 2017—Amazon’s—totaled 2,623 words. The information that companies are including in these compensation filings also varies. Nearly half (46.0%) of Equilar 100 companies included some type of graph depicting a pay calculation that differs from what is required in the summary compensation table (SCT) of the proxy, such as realized or realizable pay. Furthermore, 20.0% of companies included a graph that depicted executive pay in relation to company performance. While the alternative pay graph and company performance pay graph are not insignificant in terms of prevalence, both reached their peak usage in 2015, at 49.0% and 23.5%, respectively. The SEC proposed a rule in 2015 that would require companies to publish a graph showing realized pay vs. total shareholder return in relation to their disclosed peer companies. The proposal was never made into a rule, and the prevalence of such disclosures has declined since, albeit slightly. But that’s not to say regulatory requirements are the sole driver of proxy disclosure practices. In fact, the reality is far from that. Click here to request a copy of the full report. Innovations in Proxy Design: The Compensation Discussion & Analysis, an Equilar publication, delves into the proxy statements and accompanying CD&As of the Equilar 100—the top 100 U.S.-listed companies by revenue—over the last five years. The report reflects a manual analysis of these 100 companies to review the recent evolution in compensation-related disclosure practices and provides a look ahead to what may come in 2018. Donnelley Financial Solutions offered independent commentary to provide context and color on companies’ approach to compensation issues and communications with shareholders through proxy statements and other channels. 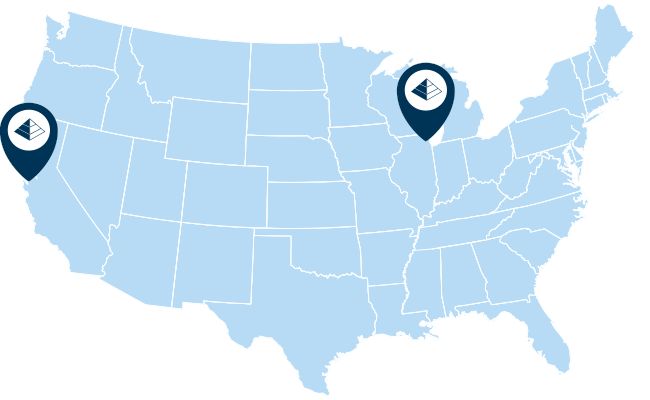 Leveraging advanced technology, deep-domain expertise and 24/7 support, we deliver cost-effective solutions to meet the evolving needs of our clients. Download the 2017 “Guide to Effective Proxies” from Donnelley Financial Solutions. Visit info.dfsco.com/proxy_guide for more information.